1. Heat a cast iron skillet on medium. Melt the butter and olive oil. 2. Season the shrimp with salt and pepper. Once the skillet is hot, add the shrimp and cook for 1 minute. Flip and cook for 1 more minute. 3. Add the SMS Scampi Butter and sauté for two minutes. Top with parsley for garnish, and enjoy! 4. 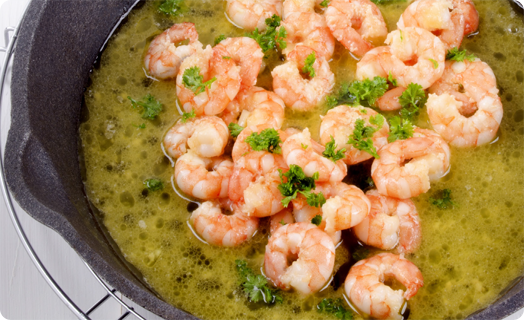 We suggest serving the Shrimp with Tiberino All Natural Pastas or over baked bread as crostinis.